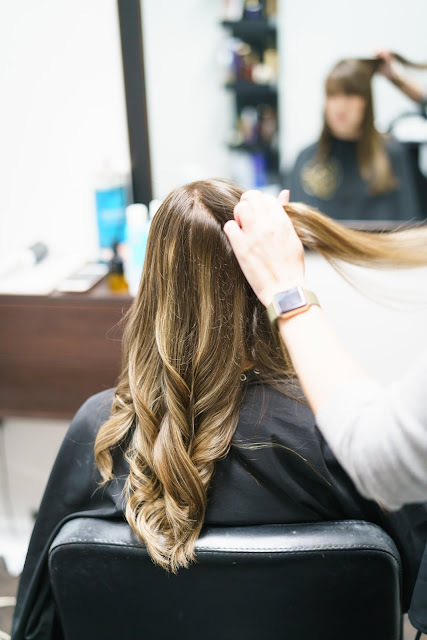 Finding a salon and hair stylist that you love working with and can always trust to do the best for your hair can be difficult. 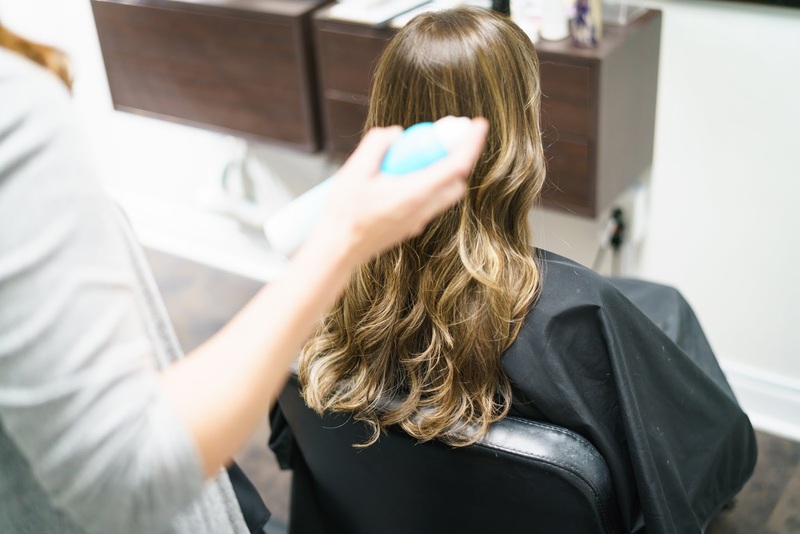 For so many years, I hated my hair every time I got it done because I simply hadn't found what I was looking for in a salon and stylist. 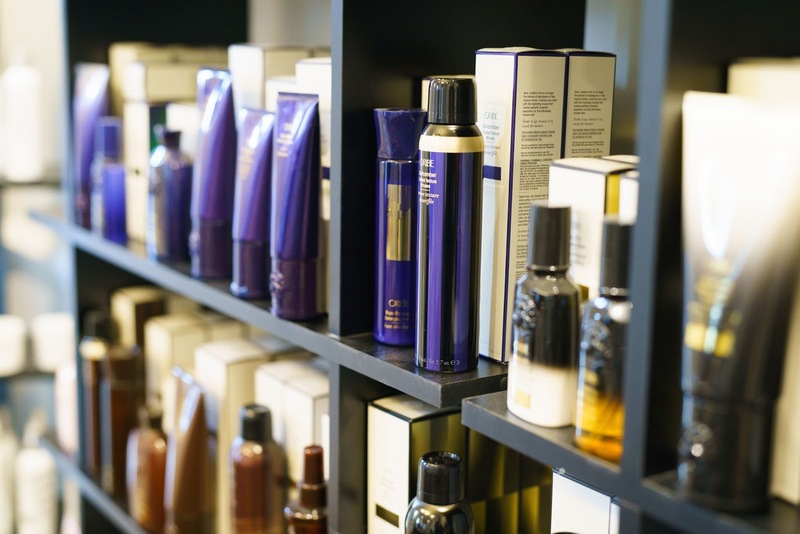 If you're going to invest a good bit of money into your hair, it's important that the experience and outcome be exactly what you're looking for. Not too long ago, I came across Salon Adelle on Instagram. 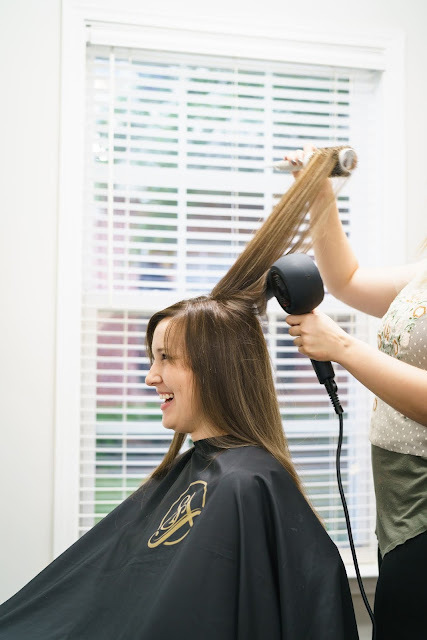 Salon Adelle is a national award winning hair extension and color salon in Greenville, South Carolina. Adelle started the salon about 5 years ago, and since then, she has grown her company significantly and established herself in the Greenville area! One of the things I found most impressive about Salon Adelle is their assistant stylist program. All of Adelle's stylists have to go through the assistant program regardless of their years of experience when hired. 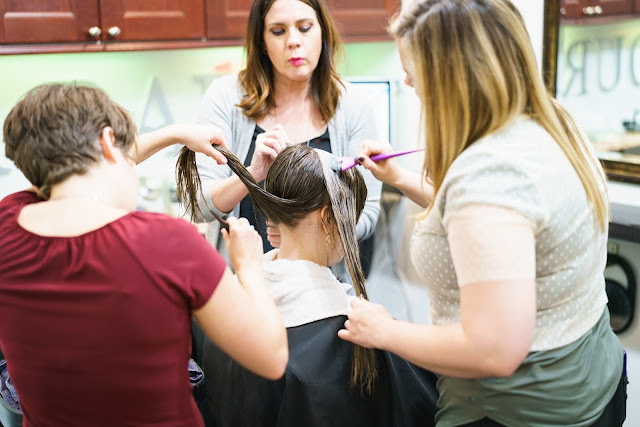 This ensures that they are well trained and qualified before they're on the floor as an official stylist, and it definitely puts the customer's mind at ease to fully trust the stylist. 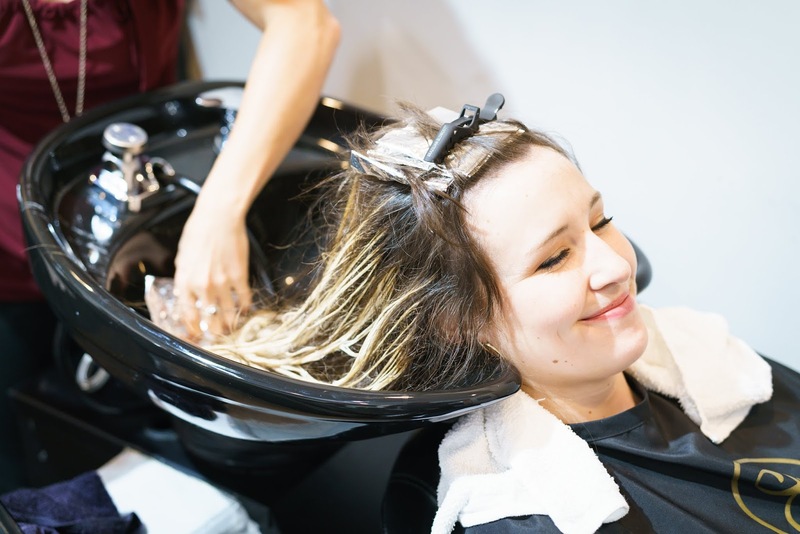 If high quality service and an impressive experience are your thing, I can guarantee that you will enjoy Salon Adelle. 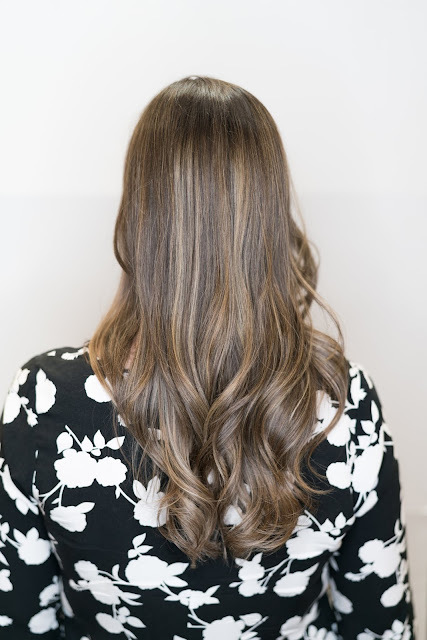 Since I am working with Salon Adelle on this post, I had the opportunity to receive a cut, balayage and a B3 treatment, and I thought I would share why I so enjoyed Salon Adelle and would fully trust and recommend my stylist Heather and the whole Salon Adelle team for your hair style needs. Let's start with a few things I personally look for in a salon. 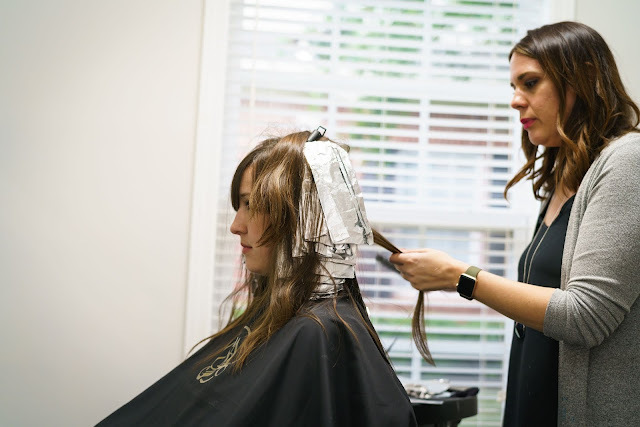 I'm sure you can relate to me on this list, and if you're not local to Greenville, then I would say to consider that list before you book an appointment at a local salon. 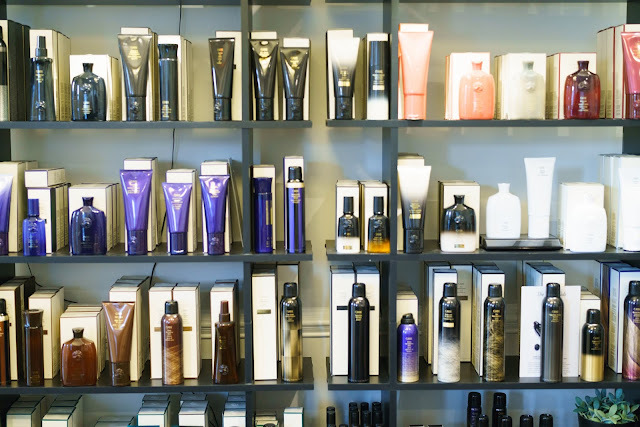 I look for my hair stylist to have good hair herself. I find it hard for me to trust someone to chop my locks when they don't take care of their own hair. 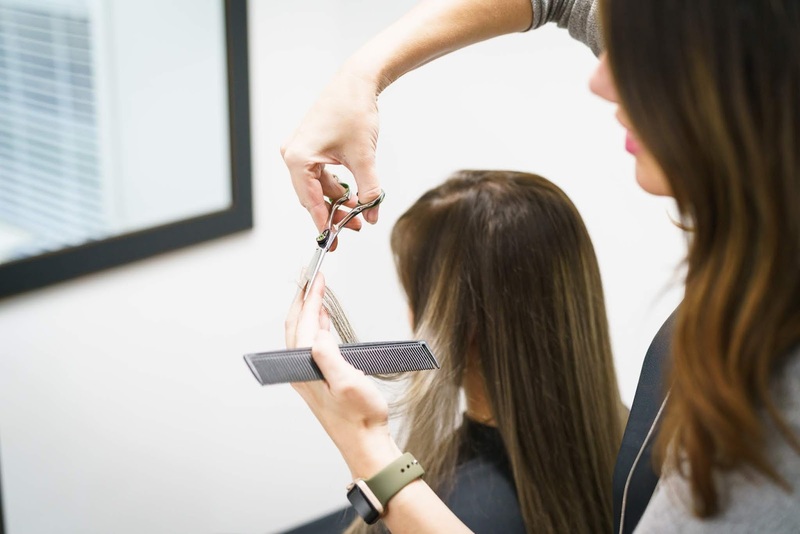 I look for a stylist who is willing to listen to what I want in a hair cut and color. 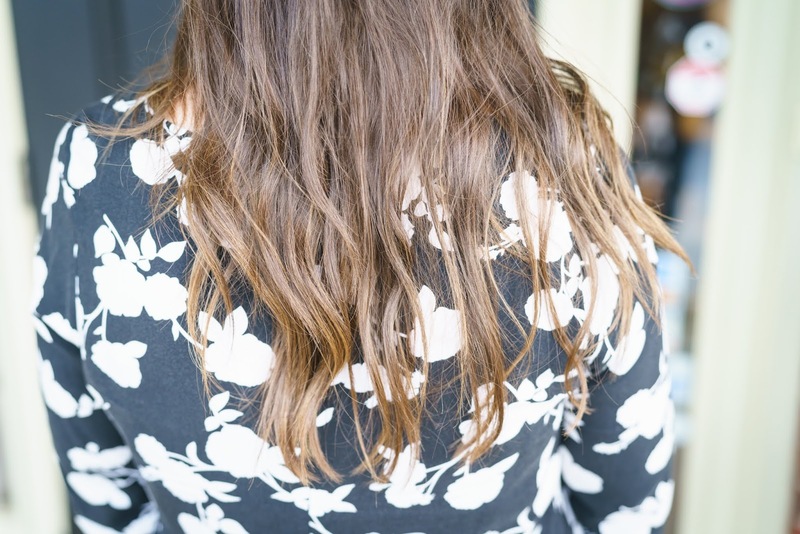 I look for a stylist who is knowledgable about hair and is willing to educate me on how to best handle my own hair. 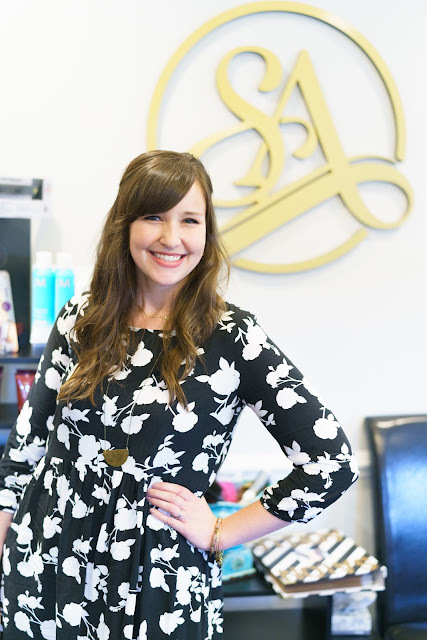 I headed out to Salon Adelle on a rainy Tuesday to meet Heather for my hair appointment. 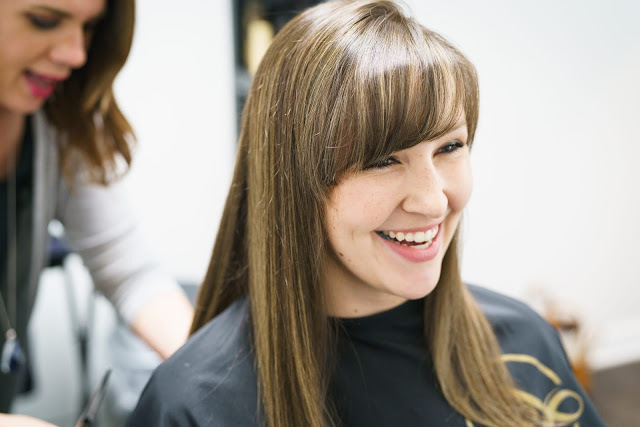 Heather was my main stylist, but all of the stylists work together throughout the whole hair cut and color process. 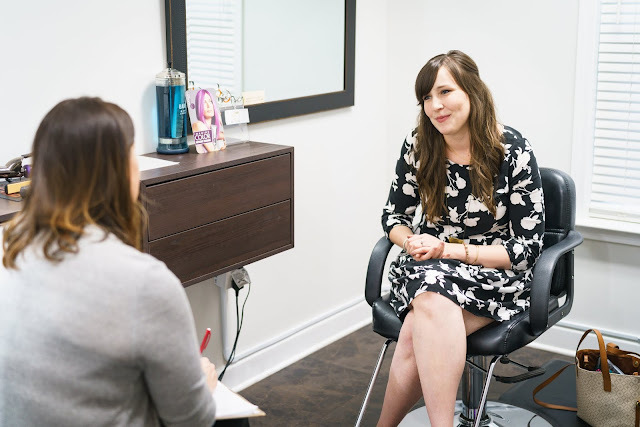 Heather started out by going through a questionnaire to get an idea of what I like and don't like about my hair to best serve me. 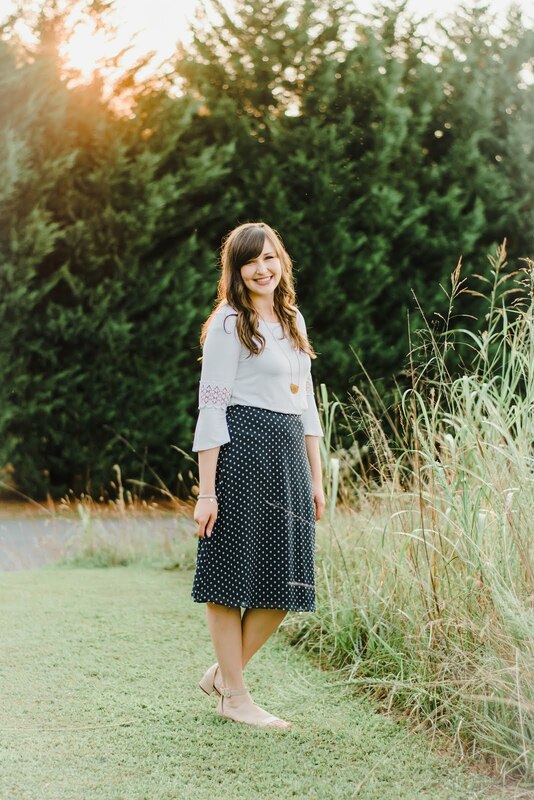 She asked me questions involving things like what I like best about my hair, what I would change about my hair, and how happy I was with my length. She then let me show her a few inspiration pictures to see what I had in mind. 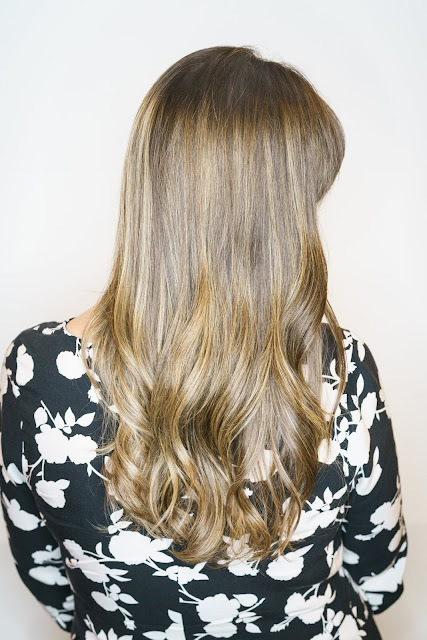 I knew I wanted to keep my length, but I wanted and icy blonde balayage to give my hair some dimension. 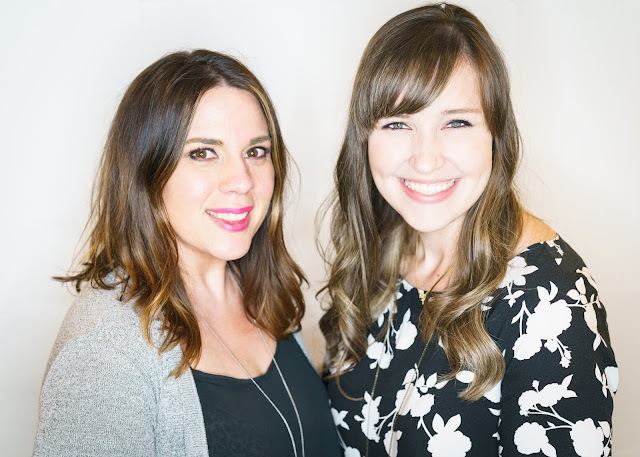 Heather and her assistant stylist Christen started by teasing small strands of my hair to make sure my balayage was diffused well. They then applied a lightener and wrapped the strands in foil. I then headed to the processing room to let the lightener do its thing. The processing room has snacks and coffees, which is such a nice amenity while you wait. Christen then rinsed out the lightener and combed out my hair to prepare it for the toner and B3 treatment. 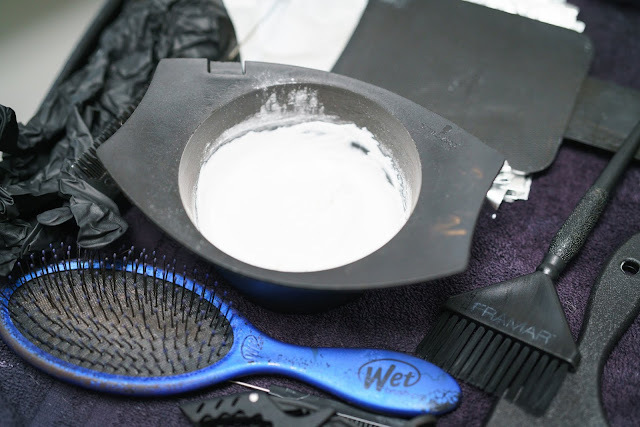 The B3 treatment was applied at the same time as the toner for my balayage. It's essentially a smoothing conditioner that keeps your hair feeling soft and smooth for weeks to follow. It made my hair feel so nice! Finally, I got a nice blowout, cut, and style! Ya girl loves some dry shampoo, and Heather taught me how to correctly apply it to prolong my time between hair washes. 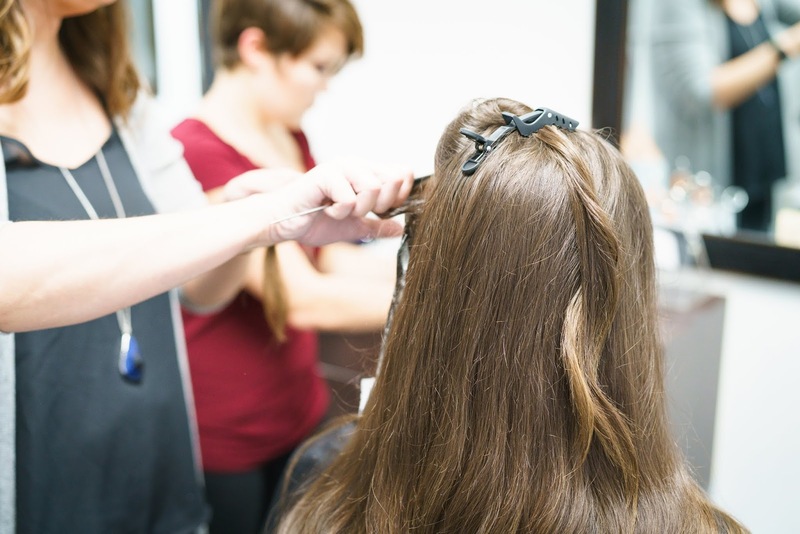 I think what set Heather apart from other stylists I've gone to before was her background in education. 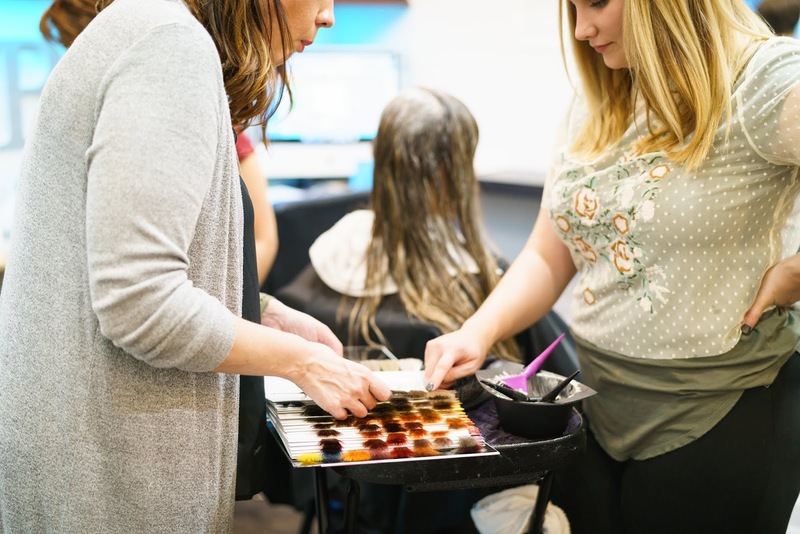 From the very beginning, she walked me through each step of my appointment, and gave me tips and tricks for working with my hair. 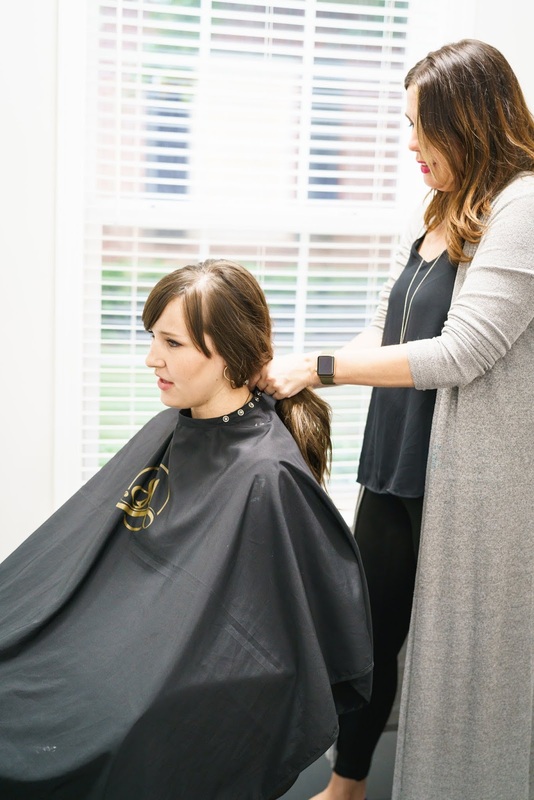 She taught me different ways to do things, and that's such a valuable quality in a stylist. Heather and her team gave me exactly what I was looking for. 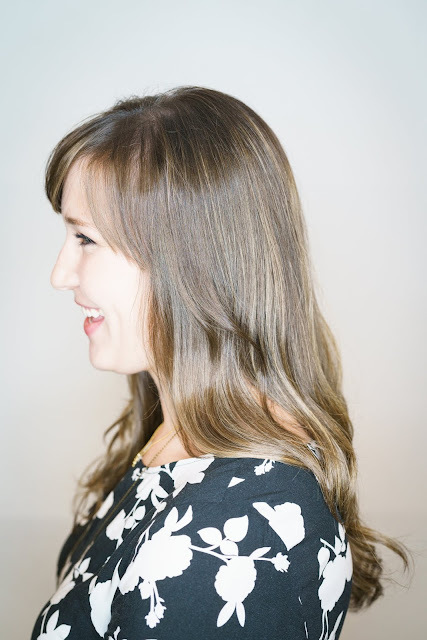 I got an icy balayage, some layers and shape to my long locks, and smooth, healthy hair. Adelle and her salon really work on making the experience exceptional. 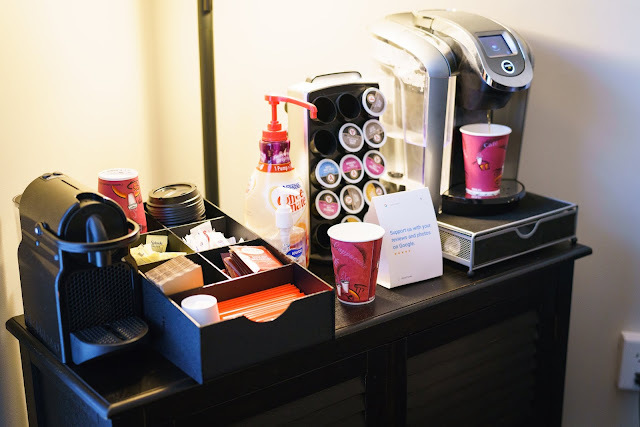 From the moment you check in for your appointment, you're offered a beverage. It's the small touches of hospitality that make the experience something to look forward to. If you're local to Greenville, I would highly recommend booking your next appointment at Salon Adelle. 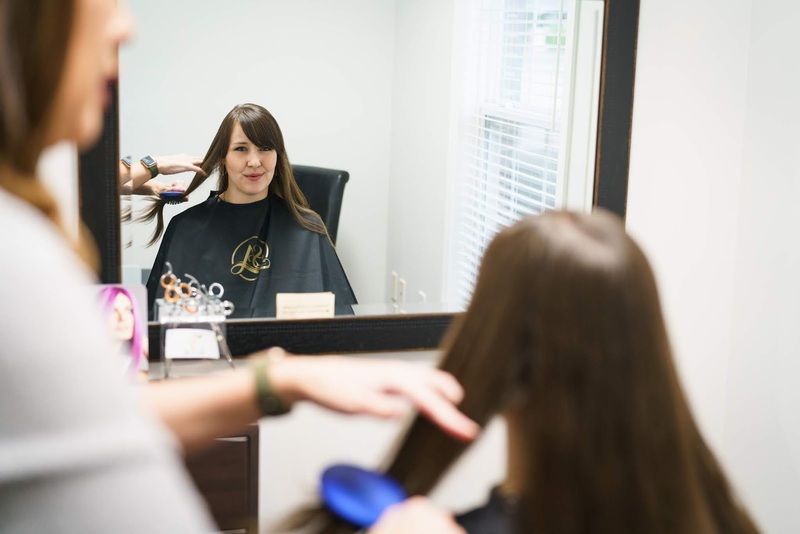 If you're not local to Greenville, but you're looking for a salon you can trust, make a list of what you're looking for in a salon, and call and ask questions before you visit. You'll be glad you did. Thank you, Adelle and the Salon Adelle team for giving me the best experience and hair refresh! I'll be back! Your coloring looks incredible! So wonderful to find a salon close by you can count on, one of life's necessities!